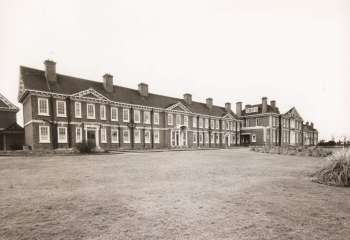 Originally built in 1715 by the Ironmongers' Company using a bequest from Sir Robert Geffyre, the company moved to Mottingham in 1912, showing that institutions as well as individuals were influenced by the rush to the suburbs and a desire for clean air. Designed by the Iron-mongers' Company surveyor and local resident George Hubbard they housed "ladies of restricted means", often retired governesses. In 1972, the residents were moved to new self-contained flats at Hook in Hampshire and the building passed first to the Greater London Council and later to Bromley Council. It is now run by Broomleigh Housing Association.